Product prices and availability are accurate as of 2019-04-24 16:37:46 UTC and are subject to change. Any price and availability information displayed on http://www.amazon.com/ at the time of purchase will apply to the purchase of this product. 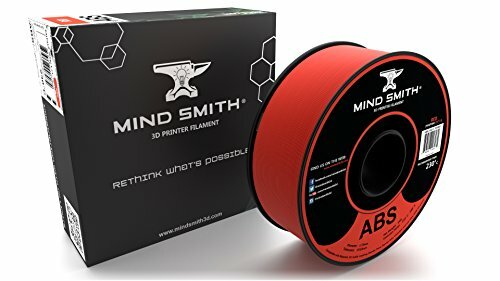 MINDSMITH Filament is designed to make your 3D Printing experience as easy and stress-free as possible. 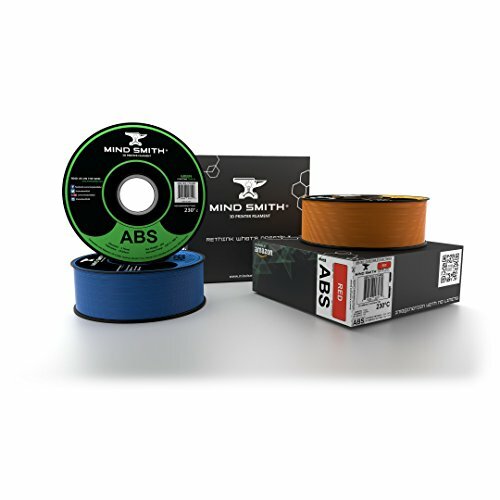 Universally-compatible with all 1.75mm FDM Printers - MINDSMITH is right for nearly every application. ABS (Acrylonitrile Butadiene Styrene) plastic filament is a polymer used in 3D printing because it can be molded and engineered. It falls under a family of other plastics known as thermoplastics. These plastics have the ability to become soft and moldable when heated at high temperatures and returning to it's normal solid state when at cooler temperatures, making it an ideal 3D printing filament. EXCEPTIONAL QUALITY prints due to the highest possible quality in raw materials (sourced from here in the US)! Reduce brittle, dull and lackluster print results by ensuring that you purchase the same caliber materials as professional fabricators do. Sealed, shrink-wrapped and desiccated packaging ensure the quality lasts to your doorstep - and our world-class engineering process ensures that the quality lasts while it's mounted on your printer. HIGH PRECISION GUARANTEED. 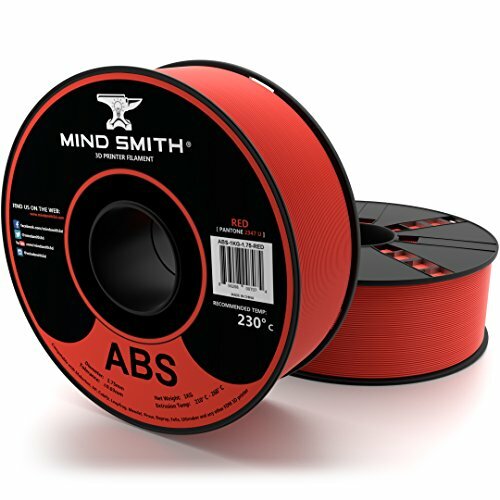 Demolish the industry standard of +/-0.05mm in variance - MINDSMITH Filament has a variance of only +/-0.03mm! Eliminate clogged extruders due to shoddy material. SMOOTH, ACCURATE & VIBRANT COLORS are a passion of ours! We PANTONE-match our filament to ensure that you get the color you intend to - every time. This fact, coupled with the glossy sheen of the material and high color saturation, lead to a finished product that is second-to-none. ENVIRONMENTALLY FRIENDLY. Our filament starts with plants! Greenhouse emissions are transformed into sugars that are fermented. This lactic acid is then converted into a raw product that we extrude into high-quality filament. Eco-friendly just doesn't quite seem to cover it! FINALLY - A WORRY-FREE PRINTING EXPERIENCE! Our products are designed with one goal in mind - to make your 3D Printing experience as easy and stress-free as possible. Stop worrying about whether your extruder will jam in an overnight print - quit staring relentlessly at the video monitor on your printer while biting your nails. Set your imagination free - we'll handle the rest.